It may take a crazy BLDGBLOG road trip to get there, but Kurchatov, Kazakhstan, is a post-nuclear disaster-scape left over from the Cold War struggling to reclaim itself in the frozen wake of Soviet military occupation. 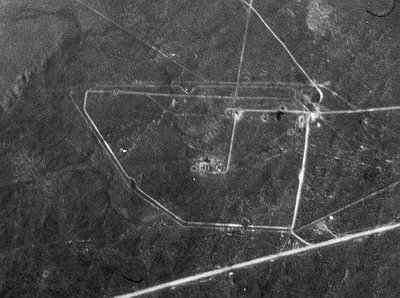 Named after the "world-class physicist Igor Kurchatov, who became the driving force behind the Soviet Union's race to develop the atomic bomb," it was for years a forbidden military zone where Kurchatov and his team toyed with early atomic weaponry and helped mastermind the future proliferation of Russia's shameless nuclear legacy. 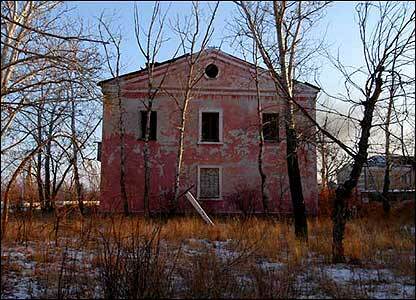 It was the birthplace of Russia's first test site founded in 1947, a "closed atomic city" that would serve as base camp for a whole archipelago of near-by bombing ranges later to emerge in the less populated regions west of Semipalatinsk. 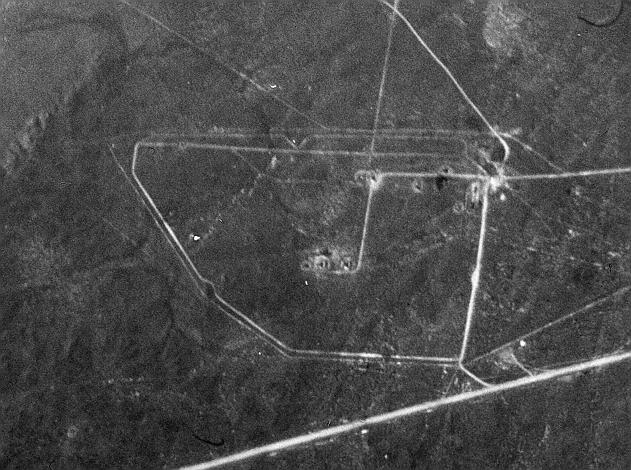 "In the years 1949-89 the Soviet Union exploded around 700 bombs on the test range," the BBC reports. "In the first 14 years more than 100 tests were carried out above ground, including at least 30 at treetop height. For the last 29 years, they were underground," which is exactly where one of the most notorious Soviet radiation tragedies was devised. 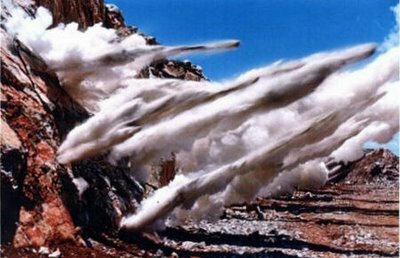 Roughly 50km's outside of Kurchatov, "Semipalatinsk, which also lies along the Irtysh River in East Kazakhstan, was the major site where 17,400,000 tons of trinitrotoluene were exploded in the overall 18,500 square kilometre test range vicinity, which became known as the Polygon. 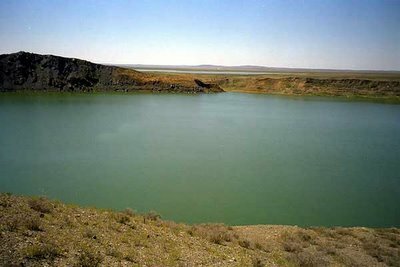 "Claiming they were carrying out peaceful underground explosions in the Polygon to construct a lake, in order to supply fish to the local population, the impact of those tests created Lake Balapan -- the "Atomic Lake" -- a "radioactive reservoir blasted out of the low-lying mountain range, which crosses the steppe in the region of Semipalatinsk" – (Struan Stevenson). It was a an early Earth-Fountain©. 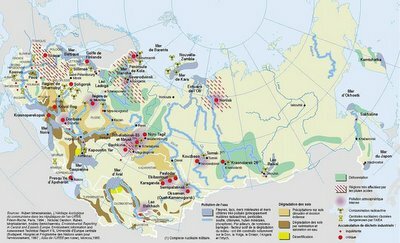 In 1998 Kazakhstan officials tried talking down the numbers to somewhere near 1.2 million people who had received radiation as a result of the USSR's nuclear experimentation." The results of which have smeared a fully contaminated frozen wasteland for most of Eastern Europe and Central Asia. While most of the land around Kurchatov today is believed to be safe, much of the old test-site real-estate is still closed, though without proper fencing to prevent villagers from grazing their livestock on the grounds which are ultimately still in question. 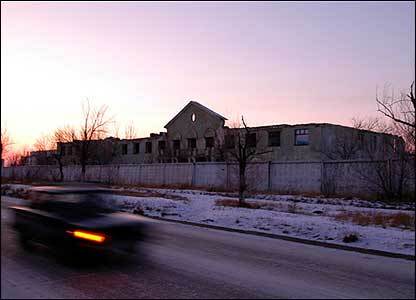 Since the site was closed down in 1991, roughly 22,000 nuclear scientists have left the town, leaving the population of Kurchatov around 8,000 with a barren swath of annihilated icy bomb-scapes, some empty government buildings, dilapidated housing blocs, abandoned reactors, an active church, and even a nuclear museum. As if the entire city were not already a miserable 'City of the Dead' museum unto itself. But, Kazakhstan's National Nuclear Centre (NNC), based in Kurchatov (also see: The Kurchatov Institute), has been remediating the site and courting re-investment, with apparently some success as a new young population is coming back to the town to try and make something of the crude devastated landscapes Kazakhstan has inherited in its independence. Another article in the BBC about the struggle to turn the wasted agricultural barren land in Kazakh around Semipalatinsk into something viable again. How scary! How devastating! It warms my heart to think people are trying to reverse the damaged eco systems, or actually try to replenish it. People can get sooo greedy. Makes me wanna cry.